LAHORE: A day after hiring Pakistan Tehreek-i-Insaf lawyer Naeem Bukhari to assist in cases against Pakistan Muslim League-Nawaz president Shahbaz Sharif and others, the National Accountability Bureau on Saturday widened the scope of its investigations against the former Punjab chief minister and summoned his wife and two married daughters for next week. 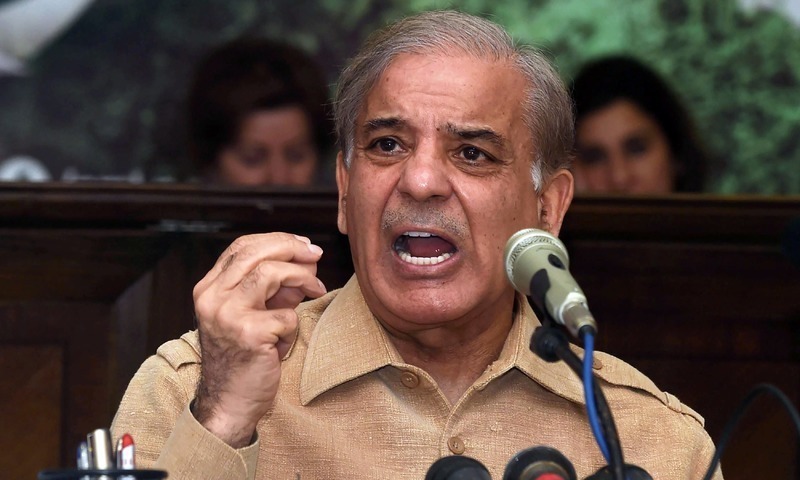 While the PML-N said that NAB officials raided the residences of Shahbaz’s family, the anti-graft watchdog claimed that only a couple of its members had visited the family’s houses (in Model Town and Defence) to deliver summons. 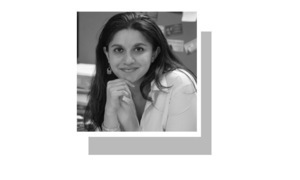 The fresh NAB move drew a strong reaction not only from the PML-N but also from the Pakistan Peoples Party as both parties saw a political motive behind it. Mr Shahbaz, Leader of the Opposition in the National Assembly, his wife Nusrat Shahbaz and daughters Rabia Imran and Javaria Ali have been summoned by NAB in money laundering and income beyond means investigation. They have been directed to appear before a combined investigation team at NAB’s Lahore office on April, 18, 17, 18 and 19, respectively, to record their statements. NAB also has written to the interior ministry to place the names of Mr Sharif’s wife and daughters on the no-fly list. 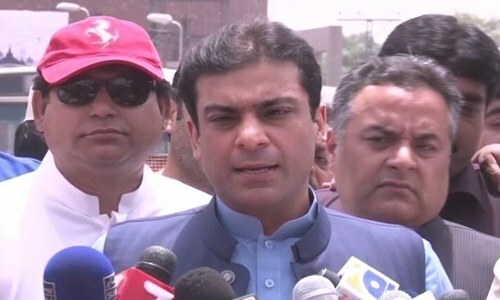 Shahbaz Sharif’s son Hamza Shahbaz, who was grilled by NAB at its office for about three hours mainly on money laundering charges against him on Friday, took exception to the bureau’s decision to involve his mother and sisters in the money laundering investigation. “Lahore NAB Director General Saleem Shahzad told me that he was under pressure (to take action against the Shahbaz family). He asked me to talk to the establishment to get relief,” Mr Hamza, opposition leader in the Punjab Assembly, said at a press conference. He also accused Mr Shahzad of asking him to get back the resolution tabled in the National Assembly over his ‘fake degree’. “NAB has been politicised. The NAB-Niazi alliance has been exposed. “Is it a ‘Naya Pakistan’ where mothers and sisters are being insulted,” Mr Hamza said and alleged that the accountability process was “selective”. He said Prime Minister Imran Khan’s “bias against the Sharif family” could be gauged by NAB’s action against the family. NAB quickly reacted to Mr Hamza’s remarks. “NAB rejects Hamza’s allegations. Saleem Shahzad’s degree is duly verified by the Higher Education Commission and has been submitted to the Supreme Court. NAB has no pressure from the government in any case as it is an independent institution,” the anti-graft watchdog said in a statement. “NAB respects the sanctity of the four walls. The Shahbaz family’s women have been summoned in the light of the report of the State Bank that pointed out money laundering made through the transactions made by the family members of Shahbaz Sharif. 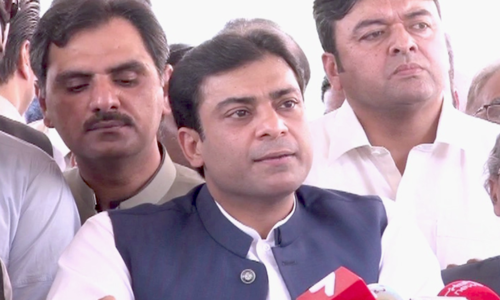 Hamza Shahbaz instead of levelling baseless allegations against NAB should submit a reply in the face of money laundering allegations against him,” the statement said. Earlier in the day, the PML-N accused NAB of raiding Shahbaz Sharif’s residence along with police. However, the bureau rejected the allegation, saying only a couple of its members had visited the Shahbaz family’s houses (in Model Town and Defence) to deliver the summons. 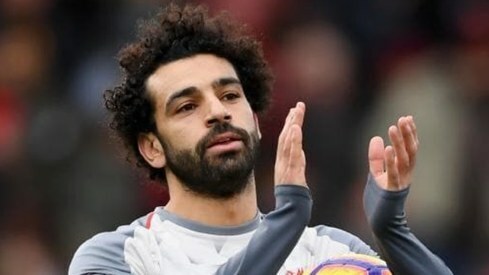 NAB has also summoned Mr Hamza for April 16. In the notices to Mr Shahbaz’s wife and daughters, NAB has asked them to provide details of all foreign remittances claimed/received by them. The bureau has sought information about “sources of funds for acquisition and increase in assets during 2008-17. Details/sources of year-wise investment (equity and director’s loan) in all the companies and businesses. Details of gifts and salaries received since 2008 including the particulars of persons from/to whom gifts were received and given and the companies from where salaries were withdrawn”. NAB also asked Nusrat Shahbaz to provide details of sources of funds for acquiring houses — 69-H and 87-H, Model Town, Lahore and Nishat Lodge, Donga Gali, Murree. The bureau alleged that most of the remittances were fictitious and the process of remittances was used for “laundering the assets” disproportionate to their known sources of income. NAB said Mr Salman’s “key front man” Mohammad Mushtaq (who is in the bureau’s custody) received fictitious remittances of Rs600 million in his accounts on his (Salman’s) behalf to conceal the origin of funds and subsequently transferred the amount to Mr Salman. Shahbaz Sharif had skipped NAB’s hearing this week and left for London where he underwent a medical check-up. Mr Salman and Mr Shahbaz’s son-in-law Imran Ali Yousuf, who is wanted in the Saaf Pani Company scam, are also in the UK. Mr Shahbaz said he would return to the country soon. Meanwhile, PPP co-chairman Asif Ali Zardari has condemned what he called NAB’s raid at the residence of Mr Shahbaz’s daughters, saying only “cowards violate the sanctity of the four walls.” He said the “puppet” prime minister had no courage to face the opponents on the political ground. “Imran Khan has polluted the politics through his narrow mindedness,” Mr Zardari alleged. PTI and morals are two different things. Look at the social media as an example. They will drag your mothers, sisters and family members for personal gratification. Also NAB officials must remember that PTI is not elected for the next 100 years. These officials will be held responsible once PTI's menace will go away. They are number 1 scoundrels of the first degree; they should be dragged in to the roughest prison in the country; the entire clan stole billions of rupees of public funds, why should one do their job or contemplating of being honest worker, question every NA and PA member they are to be blamed for this mess in the country. Why should women be exempted from investigation? Does not make sense. Are there no women in Pakistani jails? Were there no women convicted during PML N rule? What a saga of lies and deceit will the Sharif family present. If it's legal just give the proof , so simple. Justice is same for men and women. Stop misleading the people. The female members of an accused persons family are not investigated in any country where the law holds supreme unless they are directly involved in the alleged illegalities.Do they possess such proof? A very bad precedent is being set here.